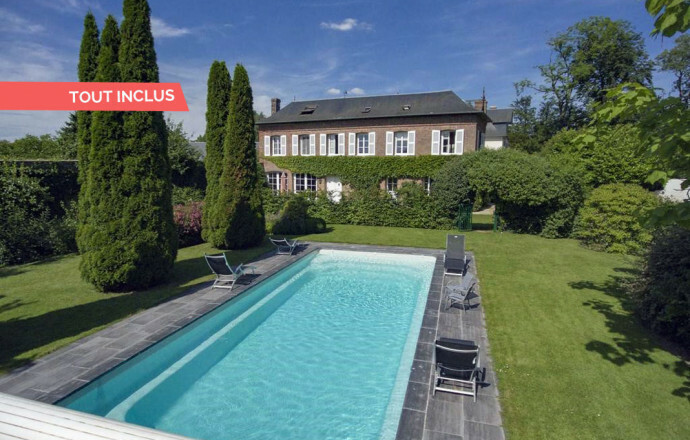 Near from the Château de Champ de Bataille and the golf course, in a beautiful garden, this large 19th century brick house exudes incomparable charm. The volumes and the highly sought-after decoration contribute to the well being which emerges from the places. The flawless equipment and the layout make it an ideal place to stay with family or friends. The large terrace opens onto a very pleasant garden including a protected heated swimming pool. On the ground floor : A large kitchen opening onto the terrace, entrance, living room. Laundry accessible from outside, bathroom with toilet. On the 1st floor : A bedroom with 2 single beds 90x190, landing, bathroom with toilet, bathroom with toilet. A large family room with partial separation 4 single beds 90x190. On the second floor : 2 bedrooms with 3 single beds 90x190, play area, wc with washbasin. 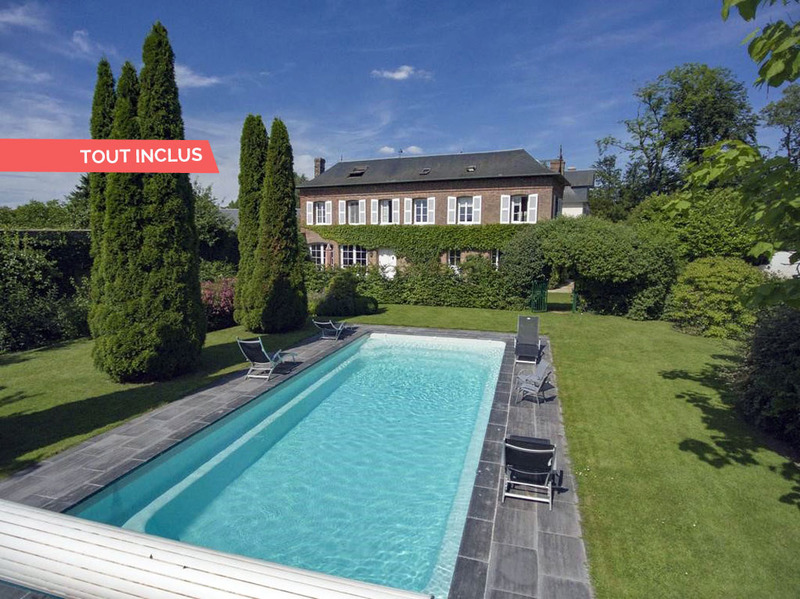 Large terrace, private heated swimming-pool, enclosed property.